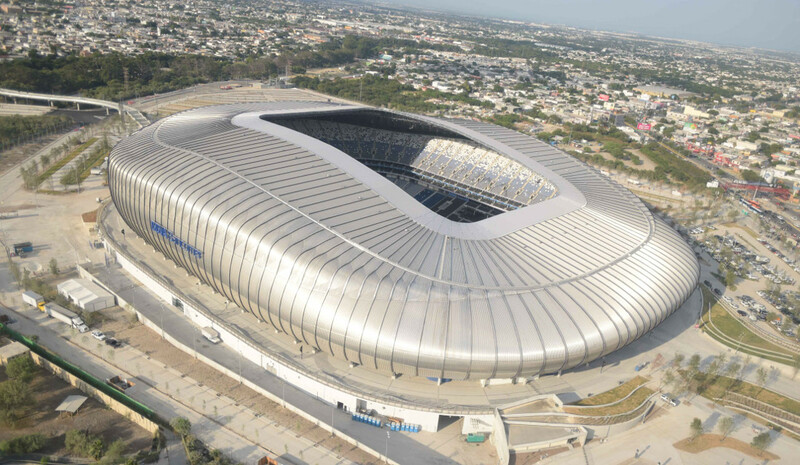 Estadio BBVA Bancomer, also known as Estadio de Fútbol Monterrey, is the recently opened new home of Monterrey CF. 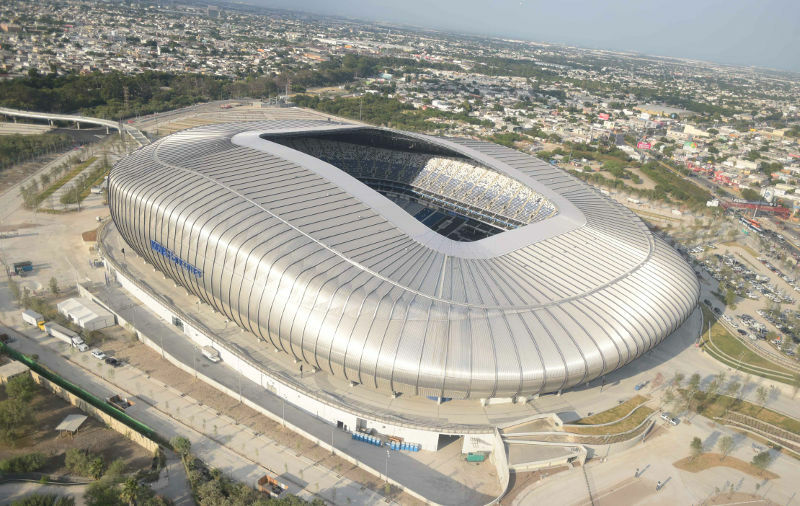 It replaced the aged Estadio Tecnológico, which lacked proper facilities and was too small for the club. Plans for the construction of a new stadium were first presented in 2008. Start of construction was initially planned for late 2008, however the project got delayed by nearly three years after interest groups protested against the negative ecological impact the stadium. It finally received permission in August 2011, and soon after building works commenced. Estadio BBVA Bancomer was designed by architecture firm Populous. The design of the stadium is said to be inspired by the mountains that surround the city. The roof structure has also been compared to the body of an armadillo. The stadium boasts 51,000 seats, of which 5,000 club seats and 324 suites. The project came at a cost of about MX$2.3 billion, which was entirely privately financed by the club and its owner FEMSA, one of the largest companies of Mexico. 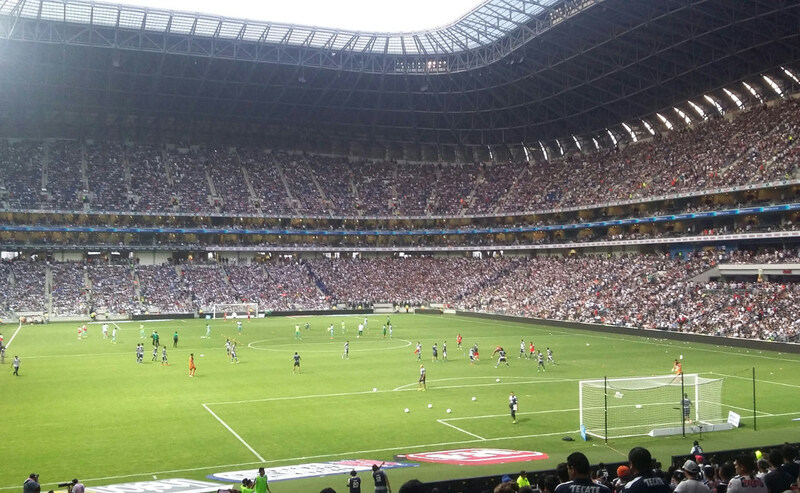 Estadio BBVA Bancomer officially opened on 2 August 2015 with a friendly between Monterrey and Benfica (3-0). Estadio BBVA Bancomer is located in the Guadalupe suburb in the south-east of the Monterrey metropolitan area. It lies in the Parque La Pastora park, which apart from several park and forest areas also holds the city’s zoo. The stadium can be reached with metro line 1, which runs north of the historic centre (Barrio Antiguo). Take the metro to its last station Exposicion. It’s a 10-minute walk from there to Estadio BBVA Bancomer. There are furthermore many bus routes that pass the stadium. Inquire locally for suitable connections. Tickets for Monterrey (Rayados) games can be bought at the ticket windows of Estadio BBVA Bancomer. However, Monterrey currently sell out all home league games and tickets will therefore be hard to obtain through official channels. Rayados.com – Official website of Monterrey CF. Tursimo.monterrey.gob.mx – Monterrey tourist information. Nl.gob.mx – Information on the Monterrey metro system.